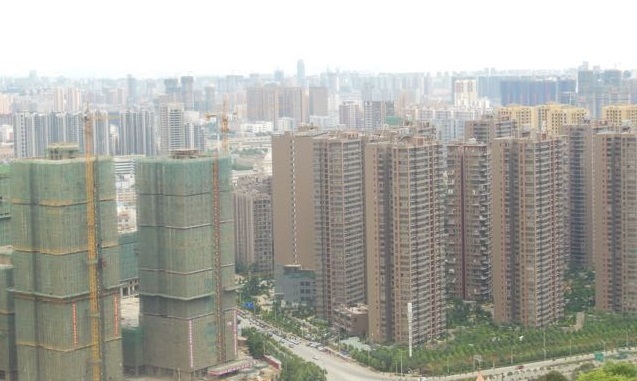 Mainland China is well known for its massive and rampant urban development, looming property bubbles and ghost cities. How has this process of urbanization, which significantly contributes to its economic growth, been financed? For the vast majority of scholars focusing on urban China, land has worked as a financial asset and played a key role in contemporary urbanization and economic growth. Local governments could drive urbanization because they can lease land for manufacturing and real estate development. Subsequent land value increases result in development-driven capital accumulation. Financial Geography Working Paper #5 provides a different understanding of the main financing circuits of the established land-based urban growth model. The proposed hypothesis for the accumulation of capital in a Chinese city is very simple: it works on the assumption, within the setting of an institutional and economic system, that the first stage of urban development is based on debt. This serves to finance infrastructure (water, electricity, roads, etc. ), which is fundamental to the value and commodification of land, which is then, at a second stage, conceded to property development companies. In this way, the sale of land-use rights brings essential fiscal revenue to local governments. However, the continuation of capital accumulation in the city is conditional upon property developers managing to sell their buildings. It also assumes that the property developers have been able to secure financing for their projects. Thus, the financial system plays a significant role. At first sight, this seem rather obvious; however, three different literatures must be put together in order to obtain a global view of the financial channels at play in China’s urban development model. Our working paper illustrates the various bank and increasingly financialized circuits that take the form of special purpose vehicles (SPV), for which land and property both function as debt and as financial assets that have enabled the financing of China’s urban infrastructure and real estate development. Read more in the Financial Geography Working Paper #6.